Jim Bruno shot some video of me after the open house last month. 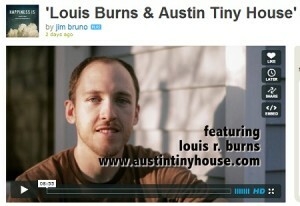 He’s done some great editing work and put together a short documentary film you can see on Vimeo. We did it in an interview format where he asked me questions regarding my tiny house and the tiny house philosophy in general. UPDATE: The video was featured on Jetson Green today.